For: ZeeGee Games, on behalf of 519 Games. 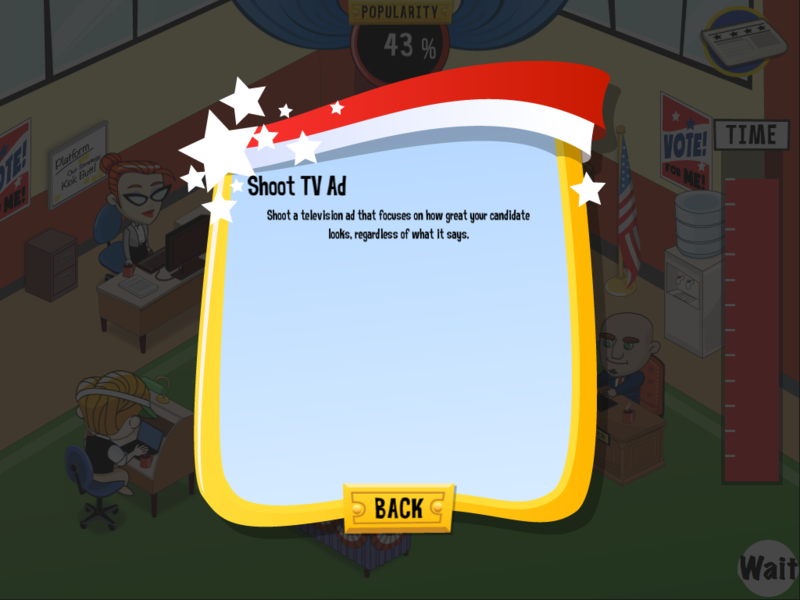 Premise: Manage a political campaign to victory and get your candidate elected. 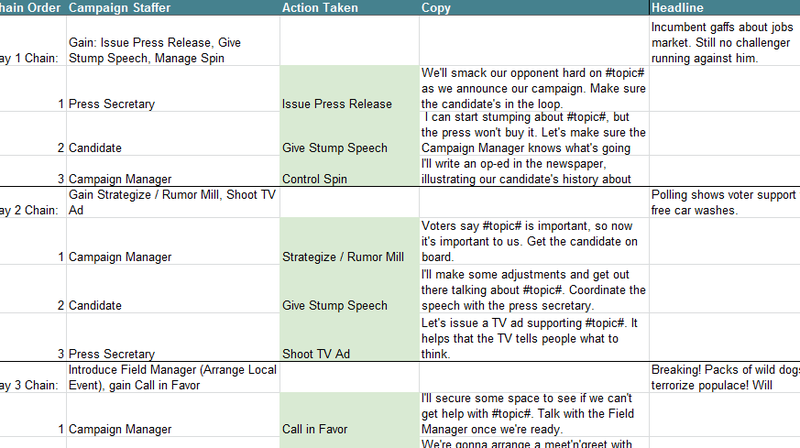 Tapping staffers and selection actions sets up other staffers and their actions to “combo”, yielding better, more desirable results. 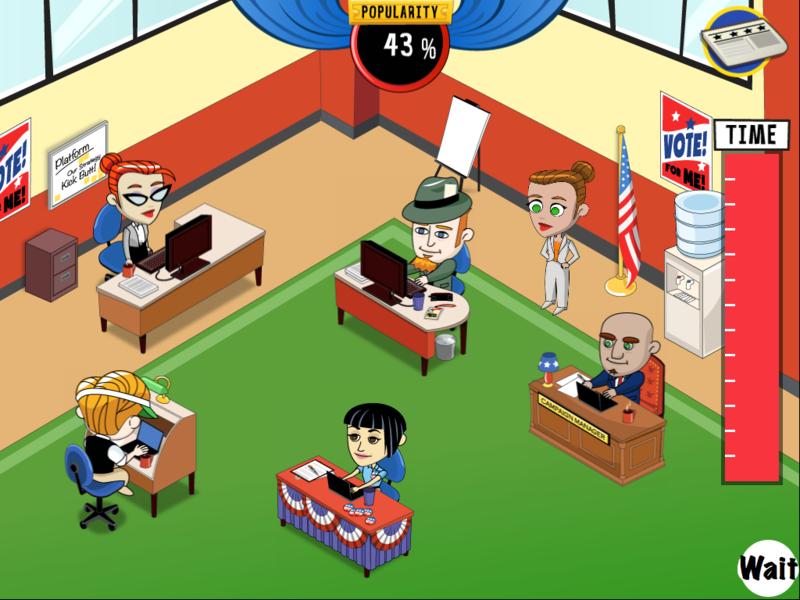 I was specifically tasked to work on this game, due to my political background. I was able to provide a comprehensive breadth of knowledge that the company was otherwise lacking, as well as provide a conduit between political modus operandi with game design. Gameplay Designer: Fleshed out the chaining system, wherein inputting the correct combination of actions yielded higher resources and more popularity. 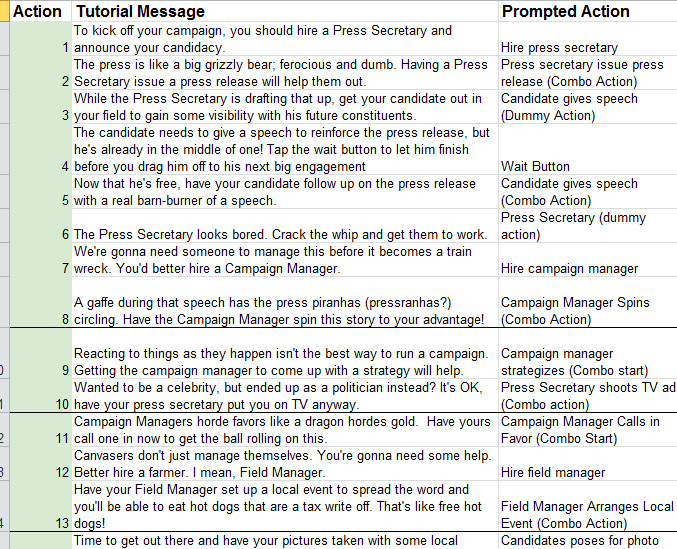 Writer: Wrote all the copy for the game, including tutorial instructions, dummy actions, and chains.